This entry was posted in 1500 NE Irving, 2815 SW Barbur, 5327 N Interstate, 6400 SW Canyon, 710 E Burnside, Aura Burnside, Carleton Hart Architecture, Colab Architecture, Convention Center Hotel, Hill Park Apartments, Jupiter Hotel Expansion, Leeb Architects, Leland James Center, Metro Reports, Otak Architects, Polyphon Architecture & Design, Scott Edwards Architecture, SERA Architects, Slogan Apartments, The Ella Marie, Waterleaf Architecture, Interiors & Planning. Bookmark the permalink. Lots of good news this week in the inner E Burnside area. I live in this area, and I’m excited about its transformation into an actual dense urban neighborhood. 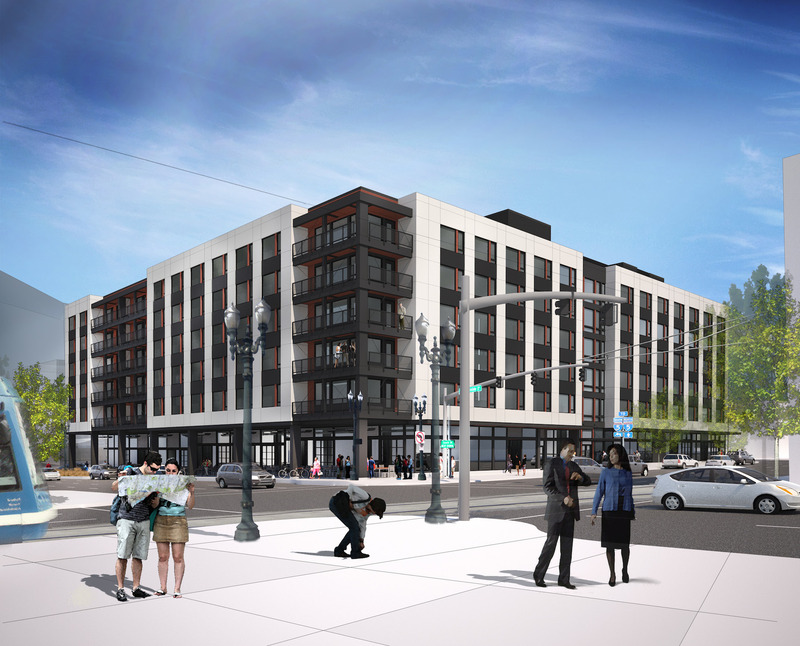 BTW, do you know if the Blackwood Lofts at SE 24th and Ankeny got a permit? They have the area fenced off and are digging up and clearing away debris.